By publishing in IPA Journals you are getting the following benefits •	Articles in IJETCAS, IJSWS, IJEBEA are published without any article processing fee. •	All published articles are open access for authors and viewers. •	The articles will be online within 4 weeks of time after final submission of camera ready papers. •	Free soft copy of PDF file: The corresponding author, at no cost, will be provided with a PDF file of the article via e-mail. •	Offering to buy offprint and/or Journal’s book: Corresponding authors will be given the choice to buy offprint before printing of the article, and/or to buy the Journal's book. •	Wide publicity and reach by getting indexed in many indexing services. •	Excellent editorial standards which will improve the quality of work by listing into different citation databases include: GetCITED, DOAJ, Thomson ISI, SSRN, TGDScholar, WorldWideScience, CiteSeerX, CRCnetBASE, Google Scholar, Microsoft Academic Search, INSPEC, ProQuest, ArnetMiner, Scopus, Base, ChemXSeer, citebase, OpenJ-Gate, eLibrary, SafetyLit, SSRN, Science.Gov, VADLO, OpenGrey, EBSCO, ProQuest, UlrichWeb, Scirus, ISSUU, SPIE Digital Library, arXiv, DBLP, ERIC, EasyBib, Infotopia, IndexCopernicus, WorldCat, .docstoc, JURN, Mendeley, ResearchGate, cogprints, OCLC, iSEEK, Scribd, LOCKSS, CASSI, E-PrintNetwork, intute, and other databases. The heading of the References section must not be numbered. All reference items must be in 8 pt font. Please use Regular and Italic styles to distinguish different fields as shown in the References section. Number the reference items consecutively in square brackets (e.g. ). When referring to a reference item, please simply use the reference number, as in . Do not use “Ref. ” or “Reference ” except at the beginning of a sentence, e.g. “Reference  shows”. Multiple references are each numbered with separate brackets (e.g. , ). D. Kornack and P. Rakic, “Cell Proliferation without Neurogenesis in Adult Primate Neocortex,” Science, vol. 294, Dec. 2001, pp. 2127-2130, doi:10.1126/science.1065467. S. M. Metev and V. P. Veiko, Laser Assisted Microtechnology, 2nd ed., R. M. Osgood, Jr., Ed. Berlin, Germany: Springer-Verlag, 1998. J. Breckling, Ed., The Analysis of Directional Time Series: Applications to Wind Speed and Direction, ser. Lecture Notes in Statistics. Berlin, Germany: Springer, 1989, vol. 61. Click here on IJETCAS, IJSWS and IJEBEA to download the paper templates of IASIR Journals in .DOTM form. IASIR Journals follow creative commons copyright policies, authors are instructed to send a copyright form attached with article while submission. 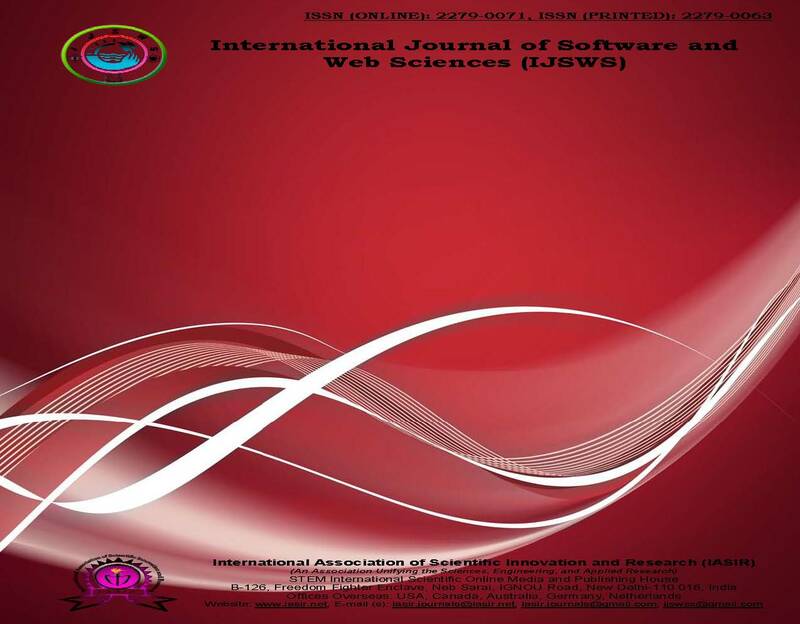 Click here on IJETCAS, IJSWS and IJEBEA to download the copyright form of IASIR Journals in PDF and DOC formats, please compile the form, sign, scan and send to corresponding IASIR Journal. All articles accepted for publication for IASIR Journals will be published online and in printed (offline) form. The authors shall not be provided with the hard copies of the reprints. Since at present the Journal has free access on the net, the authors are advised to make use of this facility. They can download, save and print their articles once published on the net as desired by the authors. If the authors wish to have hard copies of the reprints, the reprints can be ordered on payment at the time of submitting the articles, in advance. Request for journal hardcopy can be completed by sending an email to iasir.journals@gmail.com, iasir.journals@iasir.net bearing the subject line "Request for hardcopy". An invoice of the same will be dispatched within 3 working days. The hardcopy can be ordered by sending/transfer an amount of Rs 1000/- (Rupees One Thousand only) or $ 30(US) against advance payment for Hard Copy of Journal.